MyDota 2 - What's New ? 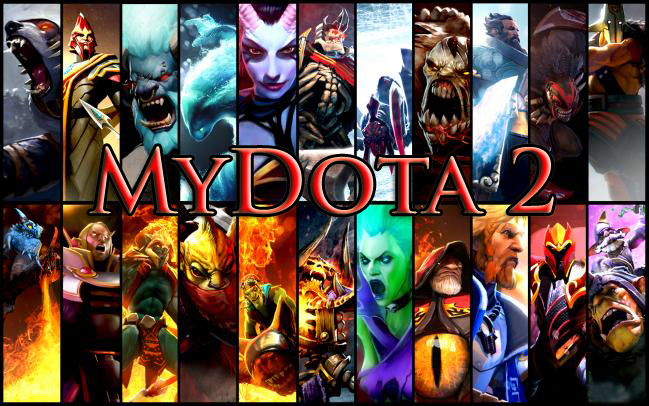 MyDOTA 2 Version 2 Full Installer is now up, download links are now available on our download sites. Links are published on Facebook Fanpage and Facebook Group. June 27, 2013 - How to Download and Install MyDOTA 2 Version 2 Full Installer video tutorial is now available on youtube and site video. June 27, 2013 - MyDOTA 2 Version 1 patcher to version 2 Parts 1-7 and Part 11 is now up, Part 8-10 still uploading. June 23, 2013 - MyDOTA 2 Version 2 Full Installer released. May 19, 2013 - MyDOTA 2 Version 1 Full Installer and Parts Installer Officially Released. Want to Join FB Group? The official release of MyDOTA 2 Version 2 is on June 23,2013, so please be reminded that it is a Full Version and expect a big file upon downloading. Patch Updates for Version 1 to transform into Version 2 will be uploaded soon after we upload MyDOTA 2 Version 2. Video Tutorials will be posted on Facebook as well as on website. Thank you for supporting MyDOTA 2 MOD.